Take your running to the next level. This easy-to-use GPS running watch tracks distance, pace, heart rate1 and personal records. Stay on top of your fitness goals between workouts with activity tracking2 features that remind you when it's time to move and count steps and calories burned all day. Stay connected by pairing it with your smartphone for text and call alerts and automatic uploads to our free online community, Garmin Connect, where you can join fitness challenges and save, plan and share your progress. 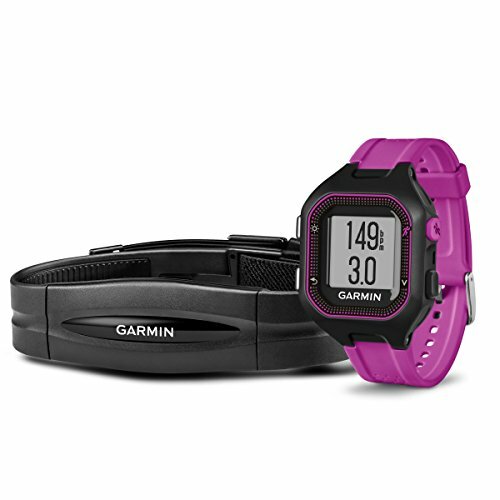 CONNECTED FEATURES - Instantly share runs and activity tracking progress with friends, family and the world via social media by pairing a compatible device with Garmin Mobile.